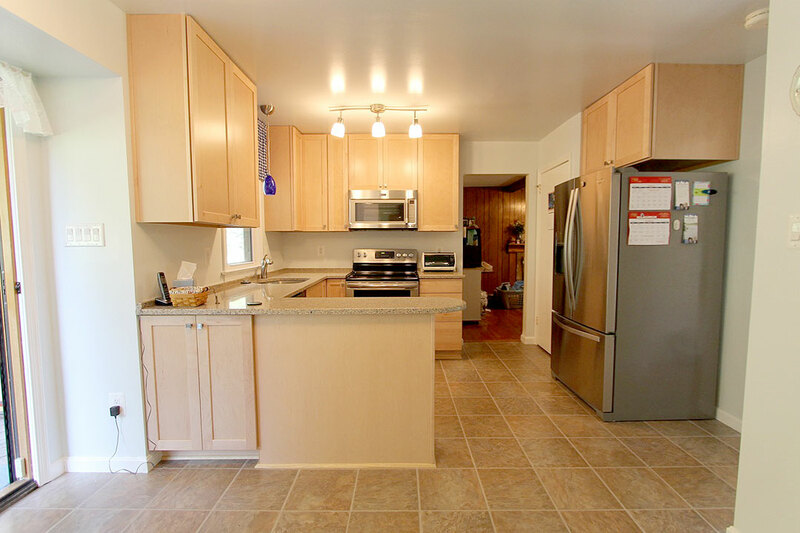 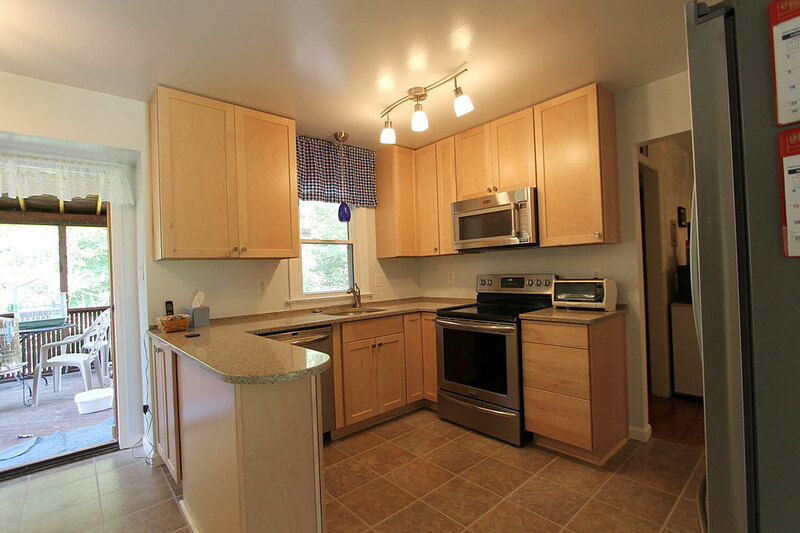 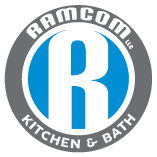 RaMcom LLC recently performed this kitchen remodel in Springfield Virginia. 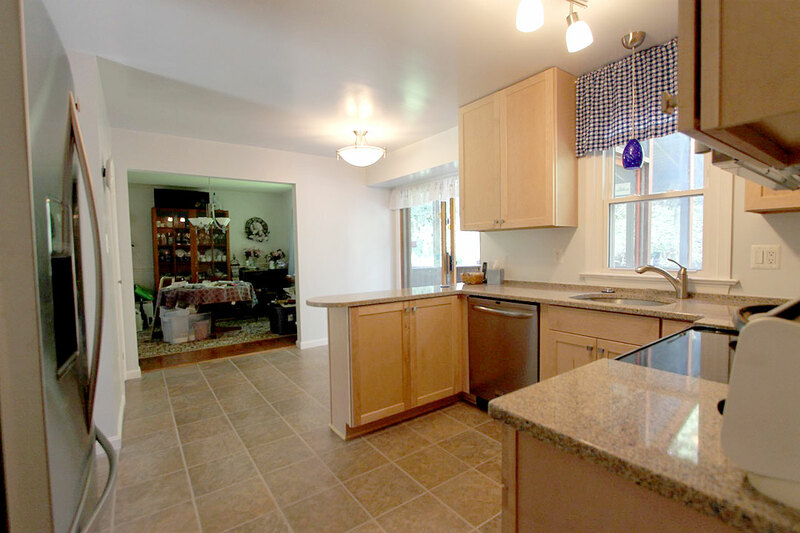 The original 1970s kitchen was showing it's age in addition to suffering some water damage from a leaking bathtub above. 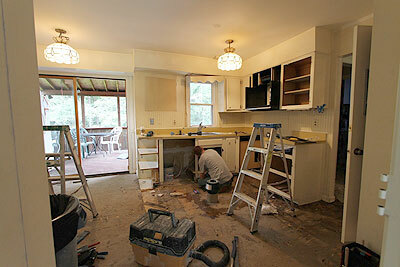 The project began by removing everything to the subfloor and wall studs. 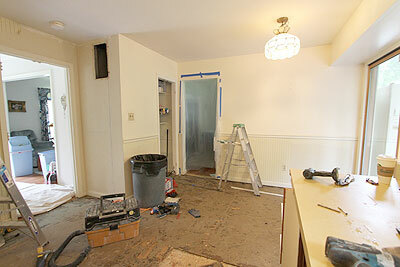 The doorway to the formal dining room was widened 5 feet for a more open concept. New cabinetry, flooring, lighting and solid surface counters completed this modern kitchen remodel. Below are some before and after photos of this project.